Get away for a weekend of fun, girl talk, spa treatments, relaxing by the pool, or time out in nature with your best friends. 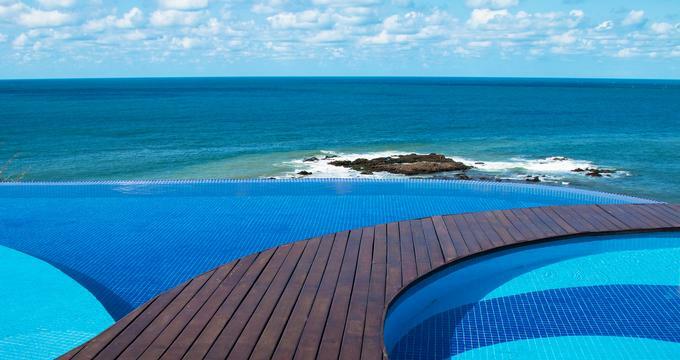 Popular girls weekend getaway destinations include Palm Springs, Boston, Dallas, Galveston, Santa Rosa and many other unique destinations. 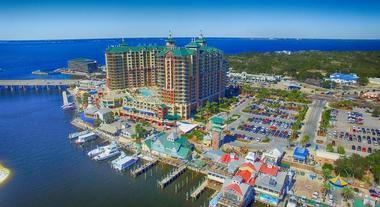 Destin is located in northwest Florida along the Gulf Coast. It features stunning emerald water, sandy beaches, excellent shopping opportunities, mouth-watering restaurants, premier golf courses, and an array of attractions and activities. It’s also an ideal place to charter boats for a day of deep sea fishing and engage in a variety of watersports. Scenic Highway 30 takes visitors through Fort Walton Beach, Destin, Okaloosa Island, and South Walton beaches, allowing visitors to experience the unique vibe of each one. The areas must-see places include Grayton Beach State Park, Gulf Islands National Seashore, Fort Pickens, and Big Kahuna’s – a famous waterpark featuring huge slides and 40 attractions. Charleston chic meets urban cool in this sophisticated and historic boutique hotel. Five beautifully restored historic buildings set around a landscaped courtyard make up the Zero George, which epitomizes elegant Southern charm. Eighteen beautifully appointed studios and suites feature original architectural elements, including smooth heart pine floors, high ornately decorated ceilings, and classic piazzas boasting wicker and wrought iron furnishings. Drawing inspiration from Charleston’s history as a colonial port, rooms feature touches of European influences, and offer lovely views over the courtyard. Savor world-class cuisine and fine dining at the Kitchen Carriage House, a wonderfully restored 19th century display kitchen which boasts a stylish preparation island where you can watch your cuisine come to life, or go for the more casual bistro-style Zero Café and Bar, for sumptuous breakfasts and light meals. The hotel offers guests a complimentary buffet breakfast, bicycles to explore the city, complimentary wireless Internet, and evening cheese and wine pairings. 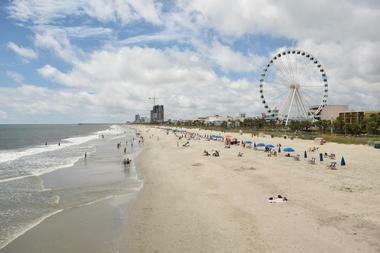 Rooms start at $449 per night (843-817-7900). Following in the footsteps of the popular Bar Covell on Hollywood Boulevard, Hotel Covell is a luxurious ‘micro’ hotel, offering just five designer rooms. A favorite hangout for the music and film industry set, the Covell is conveniently located in the heart of Los Angeles and boasts home-away-from-home comfort. Five luxurious suites are stylish and sophisticated with spacious living areas, modern décor and kitchenettes. King-sized beds are dressed in designer linens, smooth wooden floors create rustic charm and quirky art pieces add a unique touch. The hotel’s central location is perfect for exploring the area, where you will find a wide selection of excellent shops, stores, boutiques, museums and art galleries, as well as unique restaurants and cafés, buzzing bars and vibrant nightclubs. Rooms start at $245 per night (323-660-4300). 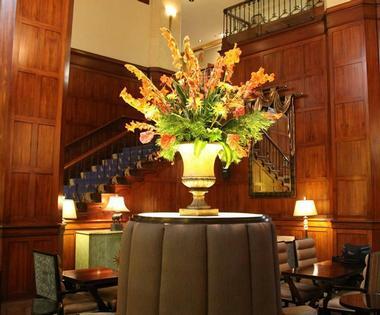 Located just steps from the historic Main Street Trolley in Memphis, Tennessee, the Madison Hotel is an ideal base from which to explore the city. Artfully designed guest rooms and suites have beautiful city views, spacious living areas, elegant décor and deluxe amenities. Inviting en-suite bathrooms feature spa-inspired rain showers and luxury bath products, while state-of-the-art Bowers & Wilkins Zeppelin media systems, Keurig coffee makers, and wireless high-speed connectivity add a special touch. Work out in the custom-built gym, swim in the glass-enclosed 30-foot lap pool, practice in-room yoga and book massages from professionally trained staff. A concierge service will take care of your every need, from transport arrangement to a nightly turndown service. Foodies will delight in the hotel’s outstanding restaurant, eighty3, whose award-wining head chef Rodelio Abligot serves a delectable fusion of globally inspired cuisine with southern sensibilities. Eighty3 also offers a ‘grab-and-go’ breakfast for a healthy start to the day. Soak up breath-taking views of the Mississippi River from the elegant rooftop Twilight Sky Terrace, where sunsets can be toasted with an array of sublime cocktails, fine wines and light snacks. 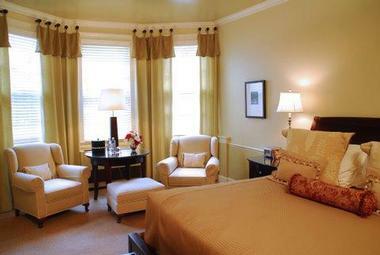 Rooms start at $276 per night (901-333-1200). Featuring classic Maine style and warm hospitality, the Harraseeket Inn is a luxurious, family-owned country inn in the small village of Freeport. Boasting two fantastic restaurants, comfortable accommodations and a range of outdoor activities, this relaxed, award-winning hotel offers a quiet country girlfriend escape. Guest rooms are beautifully decorated with rich antiques, romantic four-poster beds, spacious en-suite bathrooms with whirlpool baths, and some rooms enjoy cozy wood-burning fireplaces. Imported linens, plush terry robes, and deluxe bath products add a special touch. 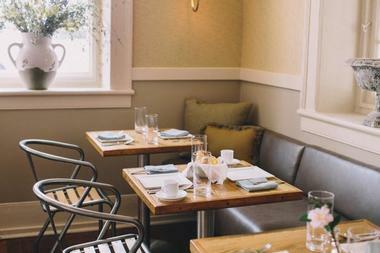 The inn features two outstanding restaurants - the Maine Harvest Dining Room and the Broad Arrow Tavern - both of which serve delicious, handcrafted fare and superb wines in an elegant setting. Freeport has much to offer in the way of sightseeing and exploring - enjoy world-class shopping, wonderful museums and galleries, or head outdoors for scenic whale watching cruises, hiking, mountain biking, fishing and golf. Rooms start at $160 per night (207-865-9377). Situated on a bustling pedestrian walkway on 16th Street, the Sheraton Downtown Denver is ideally located within walking distance of Colorado’s State Capitol and offers easy access to the city’s best shopping, dining, and entertainment. Sleek and spacious guest rooms and executive suites enjoy beautiful city or Rocky Mountain views. Modern amenities include Sweet Sleeper Beds, flat screen TVs, an elegant work desk and iPod connections. Head to the fully equipped health club with a sauna and massage facilities to relax and unwind. 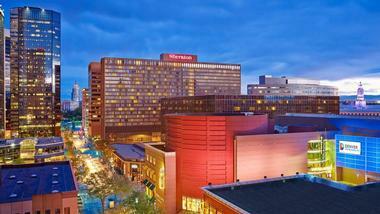 Enjoy Denver’s spectacular sunsets on the outdoor deck over fine wine, or sample cocktails in the elegant 16Mix. Yard House serves traditional steak and ahi accompanied by craft ales and lagers. Rooms start at $290 per night (303-893-3333). A beautifully appointed classic Southern inn situated in the heart of Beaufort’s Historic Landmark District, Rhett House Inn is the perfect retreat from which to explore this historical region. Beaufort exudes South Carolina’s 500 year-history in its elegant homes, historic forts and majestic plantations. The Rhett House Inn is made up of three magnificent lodgings - the Thomas Smith Rhett House, built in 1820 as a wealthy summer home; The Cottage, built in 1864 as one of the first freedmen schools in the South; and Newcastle House, a luxurious semi-detached abode next to the Inn. Nineteen exquisitely appointed rooms and suites across these properties feature plush décor, modern technologies, climate control and luxury toiletries. A delicious breakfast is served on the verandah every morning. Beaufort is home to an array of excellent restaurants, bistros and eateries. Rooms start at $279 per night (843-524-9030). Artmore Hotel is an independent boutique hotel in midtown Atlanta, offering a personalized experience with attentive service. While the building dates back to 1924, each guestroom and suite was refurbished using wood, metal, leather, cream, red, and brown tones. 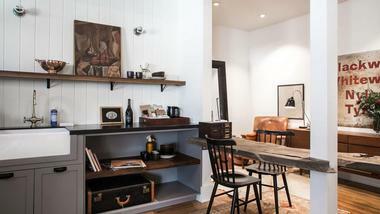 Amenities include refrigerators, iPod docking stations, rain showerheads, mini bars with snacks, and an upgraded bath. Suites include a full kitchen and can span two floors, accommodating four people comfortably. Guests have access to the fitness center which is open 24/7, concierge service, and the seating area in the Outdoor Courtyard complete with a water/fire feature. Sip a signature cocktail or your favorite wine and beer at the Studio Bar & Cocktail Lounge, which has a contemporary atmosphere. The Lounge serves pasta, salads, sandwiches, and rotating specials. The Cocktail Garden serves the hotel’s famous grilled cheese at a long dinner table or on a lounge sofa. 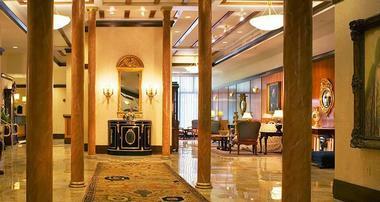 Rooms start at $159 per night (404-876-6100). Tucked away in Salisbury Mills, in the heart of New York’s lower Hudson River Valley, Caldwell House Bed and Breakfast is an award-winning historic country inn that emanates charm. 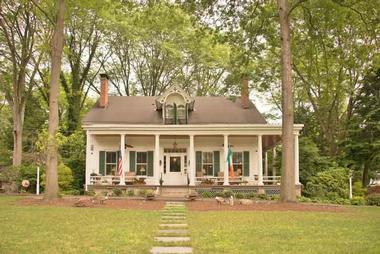 Located conveniently close to many of Salisbury Mills’ famous attractions such as the US Academy at West Point and the Brotherhood Winery, this cozy bed and breakfast is an idyllic base from which to explore the area. Beautifully appointed guestrooms feature large beds and luxurious linens, lovely en-suite bathrooms with Jacuzzi baths and deluxe Gilchrist and Soames bath products. Modern amenities abound, including personal iPads, iHome docking stations, ‘smart’ HDTVs and free Wi-Fi access, while some guest rooms offer fireplaces for cold winter nights. Begin the day with a delicious home-cooked breakfast in the sunny breakfast room before heading out to explore the area. Outdoor enthusiasts will love the activities available in the area, such as hiking, biking, exploring the Hudson River by cruise ship or kayak, hot air ballooning, horseback riding, and downhill skiing. Pay a visit to the country’s oldest winery – Brotherhood Winery – to taste some of the region’s finest wines (845-496-2954). Offering historic and rural charm, the Mast Farm Inn is a luxurious, award-winning boutique hotel set in the heart of the Valle Crucis Historical District of Watauga County in North Carolina. Surrounded by the breathtaking landscapes of the Watauga River and lush mountain valleys, Valle Crucis has long been attracting visitors to experience its rich heritage and majestic natural beauty. 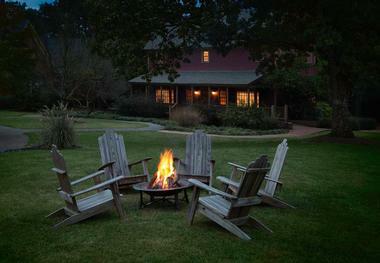 The Mast Farm Inn has seven individually decorated guestrooms housed in a beautifully preserved 1880s farmhouse, with private baths and deluxe amenities, as well as eight unique cottages and cabins, with up to six bedrooms and full kitchens. All lodging options include a delicious gourmet country breakfast for two each morning. Dine at the inn’s restaurant Simplicity which is open on weekends and serves a wonderful menu of local fare, or try Over Yonder, which is a short walk from the inn and has a cozy, convivial ambiance. The incredible surrounding landscapes of Valle Crucis are perfect for outdoor activities, or for simply soaking up the tranquil beauty and harmony. Rooms start at $199 per night (828-963-5857). Barnsley Resort is a luxury getaway with romantic guest cottages, beautifully landscaped gardens, championship golf course, three restaurants and a full-service spa. The property has historic ruins and a museum that houses unique artifacts. The 62 guest rooms and suites are spread throughout the resort village in private cottages. Many rooms feature fireplaces and all have 40-inch high definition TVs, soaking tubs, tile showers and wet bars with a mini fridge. The resort offers concierge services, trails, a tennis court, fitness center, pool, sauna, steam room, and a whirlpool. 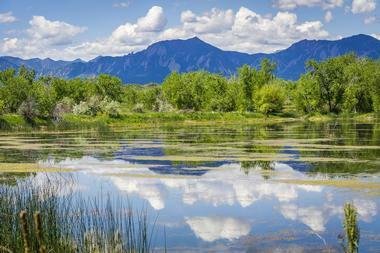 Practice catch-and-release fishing in one of the ponds, play golf, bike, or practice shooting clays. There is delicious coffee in the morning, afternoon tea, and s’mores in the lobby in the evening. Have an elegant dinner at Dining at Rice House or celebrate at the more casual Beer Garden which serves craft brews. 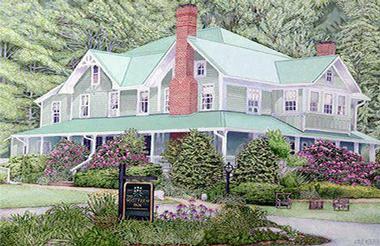 The Woodlands Grill is decorated like a hunting lodge and offers views of the golf course. Rooms start at $299 per night. Country Girl at Heart is a 140-acre working sustainable farm located in Hart County, Kentucky. 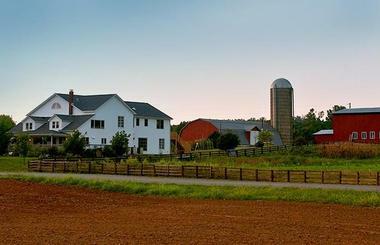 The farm has livestock such as chickens, goats, horses, and cattle, as well as abundant vegetable and herb gardens. Guests can help gather chicken eggs, move livestock, or harvest crops, or they can simply relax in the library, recreation room, or on the front porch. A hearty farm-fresh breakfast made from ingredients grown or raised right on the farm is served each morning. 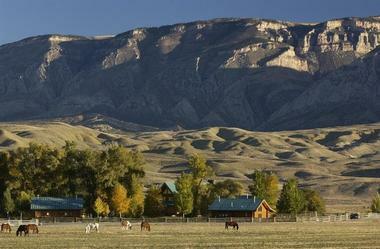 Nearby activities include horseback riding, cave exploration, boating, fishing, swimming, and antiquing. Reflecting rustic elegance in the heart of the Olympic Mountains, the Olympic Lodge is nothing less than heavenly. Breathtaking vistas of the surrounding landscapes, luxurious accommodation, deluxe amenities and outstanding service come together in this boutique mountain lodge to offer guests an exclusive and unrivalled retreat. Spacious guest rooms embrace the spectacular views through floor-to-ceiling windows, while handcrafted furniture and plush amenities such as pillow-top mattresses flat-screen HDTVs and complimentary high-speed wireless Internet offer creature comforts. A delicious homemade breakfast is served at the Whistling Frog, where you can soak up the beautiful views while dining in style. 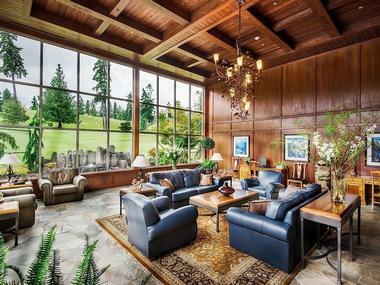 The resort offers an array of activities: soak in the heated outdoor pool and hot tub, work out in the fully equipped, 24-hour fitness center, play a round of golf at the Peninsula golf course, and explore Olympic National Park and its many must-see attractions. Rooms start at $120 per night (800-600-2993). Sonoma County is a dream vacation spot featuring miles of rocky coastline, stunning redwood forests, and over 400 wineries, as well as more than 50 regional and state parks. The county features well-known Highway 1 which offers visitors a stunning drive up the coast and is in close proximity to the iconic Golden Gate Bridge. 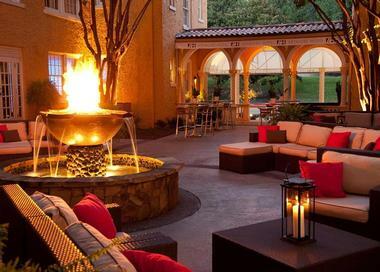 Sonoma has a collection of unique spas, exceptional farm-to-table restaurants, and an eclectic array of wine tasting rooms from massive wine castles to quaint and rustic spaces. 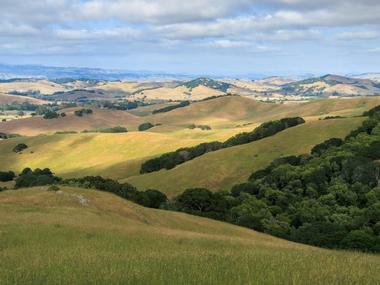 Point Reyes National Seashore, Sonoma Coast State Pak, the Armstrong Redwoods State Park, and Bodega Bay are among the top natural attractions here. Set on the ‘Garden Island’ of Kauai, surrounded by acres of beautifully landscaped gardens in the resort community of Princeville at Hanalei, the luxurious St. Regis Princeville Resort offers style, sophistication and pure seaside glamour. Elegantly appointed guest rooms and suites are designed and decorated with indigenous rattan, bamboo, lava rock and contemporary furnishings. Suites offer every luxury to ensure absolute comfort and tranquility, including beautiful granite en-suite bathrooms with deep soaking tubs, a range of deluxe amenities, and spectacular ocean views. Experience the best of local and international cuisine at one of five restaurants, which offer creative menus that reflect the changing of the seasons and the bounty of Hawaii’s lands. From spicy Asian-Pacific cuisine and Polynesian pupus (appetizers), to sublime Mediterranean delights and beachfront barbecues, your every culinary desire will be met. Unwind with rejuvenating treatments and massages at the Halele'a Spa, with a range of traditional Hawaiian body treatments and massage therapies, cool off in the resort’s exquisite infinity swimming pool which seems to float out over the ocean, and keep fit in the state-of-the-art health and fitness center, with sauna, steam room and hydrotherapy showers. 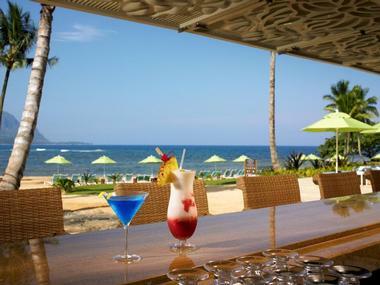 Rooms start at $620 per night (808-826-9644). 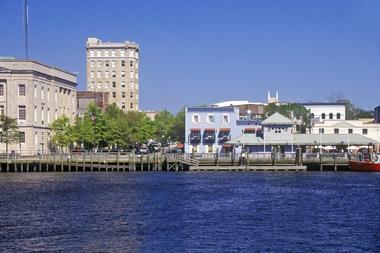 Wilmington is a vibrant city ruled by the water. It features the scenic Riverwalk, an energetic riverfront that curves around famed Cape Fear River. The area also includes three colorful and islands that offer their own unique set of activities and attractions. Wilmington boasts a nationally registered Historic District stretching over 230 blocks, and an eclectic collection of architectural styles. It’s the ideal place for horse-drawn carriage rides along old-school brick-lined streets. Visitors will enjoy an array of attractions that include the Bellamy Mansion, Airlie Gardens, the North Carolina Aquarium at Fort Fisher, and the Museum of the Bizarre. Rehoboth Beach is a charming one-square-mile beachside community situated along the mid-Atlantic. It is also the biggest beach resort town in the state affectionately known as the ‘Nations Summer Capital.’ The town’s most prominent fixture is their one-mile long boardwalk boasting an eclectic array of restaurants, shops, and other family amusements such as the arcade Funland. It is also the location for many of the town’s festivals and events. Must-see attractions in the area include the Delaware Seashore State Park, the Anna Hazzard Museum, Lake Gerar, and the Rehoboth Beach Historical Society. Fort Miles, Cape Henlopen State Park, and Jungle Jim’s waterpark are also worth a visit. Maui, affectionately referred to as the valley isle, is Hawaii’s second largest island. It’s known for the sacred Ioa Valley, and world-famous beaches. Each area of the island offers its own unique vibe. In Kahului, visitors will find the main attractions such as the Maui Nui Botanical Gardens, Maui Tropical Plantation, and the Kanaha Pond State Wildlife Santuary. Wailuku is known for its more laid-back ambiance featuring mom-and-pop eateries and shops perfect to stop at while on the way to the famous Iao Valley State Park. The eastern area of the island is ideal for adventure seekers and nature lovers where they’ll find awe-inspiring views, majestic waterfalls, lush rainforests, and exotic beaches. Santa Fe is the oldest capital city in the nation, founded in 1610 by Spanish colonists. It has an incredibly rich historical and cultural foundation. For hundreds of years it has been considered a prominent trading center with one of the largest and most significant art markets in the United States. It also features a diverse group of art galleries from ancient traditional styles to modern works and an eclectic array of world-renowned restaurants. Visits to the Georgia O’Keefe Museum, Palace of the Governors, Loretto Chapel, and the Cathedral Basilica of St. Francis of Assisi are a must when visiting the area. Duluth is a natural oasis unlike any other boasting the world’s largest freshwater lake – Lake Superior, beautiful pristine forests, rocky cliffsides, and miles of trails. Spirit Mountain, Canal Park, Jay Cooke State Park, Leif Erikson Park, and Enger Park, which features a stone tower offering picturesque, panoramic views, walking paths, and a Japanese peace garden are among the top natural attractions. Duluth also has a collection of galleries, museums, and theaters as well as various tour options that can be done by plane, boat, or train. The North Shore Scenic Railroad, Glensheen Historic Estate, Great Lakes Aquarium, and the Lake Superior Zoo are among the top attractions. Birmingham is situated in the Appalachian Mountains where two major railroads intersect. Affectionately referred to as the ‘Magic City,’ Birmingham features a vibrant downtown area, blooming loft community, exceptional green spaces, and a premier restaurant scene. This is an old city with a whopping 99 historic neighborhoods. It’s considered the cradle of the American Civil Rights Movement. The Raffner Mountain Nature Reserve, Birmingham Zoo, Birmingham Botanical Gardens, and Red Mountain Park featuring 15 miles of scenic trails, zip lines, and historic mines are among the top attractions. McWane Science Center, Vulcan Park & Museum, and Sloss Furnaces are also worth a visit. Fort Worth is the city of ‘Culture and Cowboys,’ a place where visitors can learn about the great American West, explore the rich arts scene, and enjoy the diverse culinary offerings. Visitors to this cosmopolitan city will want to seek out the major art institutions such as the Kimbell Art Museum, Modern Art Museum of Fort Worth, and the Fort Worth Museum of Science and History. Visitors will enjoy southern-style activities such as a visit to The Fort Worth Stockyards where rodeos take place, as well as visits to the Hall of Fame that honors pioneers, and the National Cowgirl Museum. The Fort Worth Zoo is a prominent highlight with its petting corrals and tornado and hurricane simulators. Sarasota is one of the primary Gulf Coast cities in Florida offering visitors an eclectic blend of pristine beaches, fine dining, boutique shopping, culture, adventure, and history. An iconic attraction is the John and Mable Ringling Museum of Art which is devoted to the family that created the most famous circus in the nation. After visiting the museum visitors should head over the Ca’ d’Zan Mansion for a tour, the grand Venetian Gothic palace was the former home of the Ringling family. The Mote Marine Laboratory, an aquarium, Marie Selby Botanical Gardens, the Sarasota Jungle Gardens, and the South Florida Museum are also popular attractions. Astoria is located on the northern coast of Oregon, situated along the Columbia River not far from the Pacific Ocean. The town is over 200 hundred years old with a gritty, urban atmosphere. 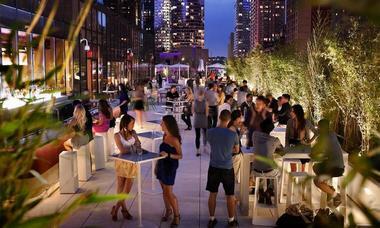 It offers a distinctive style, and an eclectic array of restaurants, boutiques, and attractions. The Columbia River Maritime Museum, which is a harbor front building with a 30,000-object collection, and the Captain George Flavel House Museum, an 1885 Queen Anne-style Victorian mansion, are among Astoria’s top attractions. Visitors will also enjoy the Oregon Film Museum, a former jail that now displays iconic movies such as The Goonies, and the Lewis and Clark National and State Historical Parks. Boone is the ideal vacation destination for people who want be outside exploring nature and partaking in adventures. Visitors will find an array of outdoor recreational activities such as whitewater rafting, fly fishing, zip lining, horseback riding, hiking, biking, downhill skiing, and cruising down the Blue Ridge Parkway. The Tweetsie Railroad – a family amusement park with trains rides and a petting zoo, Mystery Hill, and Doc’s Rock’s Gem Mine are excellent attractions for the whole family. Moses H. Cone Memorial Park, Flat Top Manor, Hickory Ridge Homestead, and the Turchin Center for the Visual Arts are also worth a visit. West Palm Beach is situated along the Atlantic Coast featuring stunning white-sand beaches and enticing, warm waters. The city is filled with fine dining establishments, exquisite shops, museums, galleries, Broadway shows, and a world-renowned art museum. Top attractions include Norton Museum of Art, Palm Beach Zoo, and Kravis Center for the Performing Arts. Visitors should also check out the Lion Country Safari, a cageless drive-thru animal expedition. Snorkeling at Peanut Island, an 80-acre man-made island is also popular. Okeeheelee Park is a 1,700-acre waterside park boasting a BMX track, biking paths, and an equestrian center. The Palm Beach Maritime Museum, and the Flagler Museum are other exceptional attractions. Raleigh is a burgeoning Southern metropolis offering visitors an enriched and vibrant atmosphere with its various historic, cultural, and artistic attractions. The city is filled with cutting-edge restaurants serving delicious Southern cuisine paired with artisan craft brews. Live music is a major part of the city’s allure. Various concert events and music festivals happening throughout the year showcase emerging talent. Local artisan boutiques, incredible museums, and a collection of visual and performing arts exhibitions make this city bucket list worthy. Top attractions include North Carolina Museum of Natural Sciences, North Carolina Museum of Art, Pullen Park, and JC Raulston Arboretum. Frankenmuth is Michigan’s quintessential German town. It is known for an unlikely trio of attractions: Bavarian-style architecture, Christmas, and chicken. Most of the commercial buildings and homes replicate the Franconia region of Germany. Bronner’s, the largest Christmas store in the world, brings visitors in droves year-round. And two of the city’s biggest independently owned restaurants, Zehnder’s and the Bavarian Inn, have a reputation for serving legendary chicken dinners. Visitors will love high energy attractions like area zip lining adventures. For something more romantic and low-key, horse drawn carriage rides and chocolate boat cruises are on deck. Frankenmuth Aerial Park and the Bavarian Belle Riverboat are also among top area attractions. Dubuque is situated along the Mississippi River, a tranquil town that offers a variety of natural, historic, and cultural attractions. Among the top places to visit are the National Mississippi River Museum and Aquarium, the 19th-century Mathias Ham House filled with luxurious furnishings, and an 1833 log cabin. The Dubuque Arboretum and Botanical Gardens include herb, rose, and Japanese gardens. Mines of Spain State Recreation Area features numerous trails, and abundant flora and fauna. Both are among top natural attractions. Visitors will also want to explore the Dubuque Museum of Art, Shot Tower, Eagle Point Park, and Sundown Mountain ski resort. Dauphin Island is a barrier island three miles south of Mobile Bay in the Gulf of Mexico. Visitors can reach the island by using a three-mile-long bridge. This charming island is known for its uncrowded and unspoiled beaches, exquisite birding, premier fishing, and historic past. Fort Morgan, Fort Gaines, and Fort Morgan State Historic Site Museum are among Dauphin Island’s top historic points of interest. The Estuarium is a favorite outdoor recreational area. The Audubon Bird Sanctuary and Indian Mound Park bird refuge are popular birding attractions. Sand Island Light, a decommissioned lighthouse located at Alabama’s southernmost tip, is also a must-see.